Suppliers of fine seed potatoes. 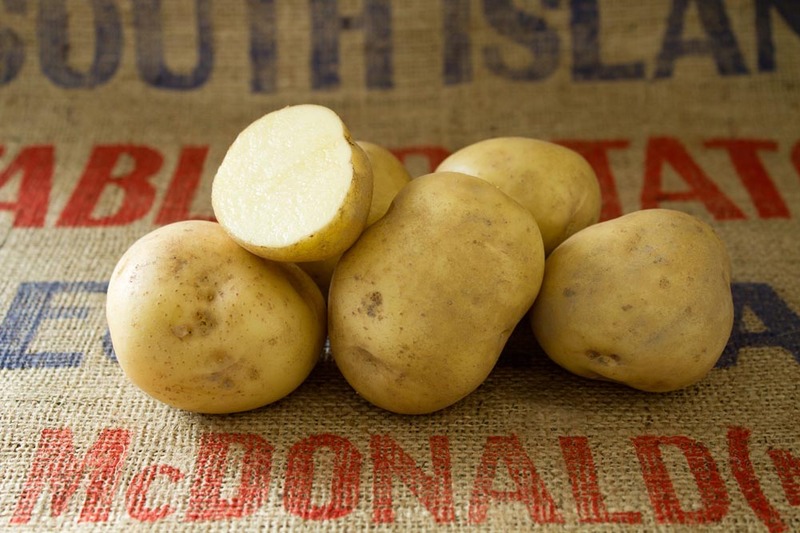 Alex McDonald and its contracted seed potato growers produce high health seed potatoes for the New Zealand fresh market, crisping and french-fry sectors. Seed potatoes are also grown for markets in the South Pacific and Thailand. The growing and packing of seed potatoes is carried out on farms within the area of the Canterbury Plains. 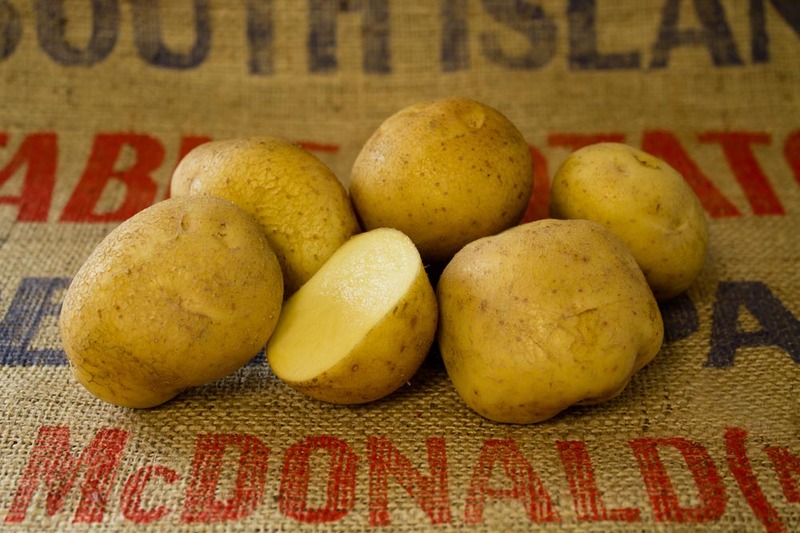 Since 1950 Alex McDonald Ltd have been growing high health seed potatoes across the Canterbury plains. 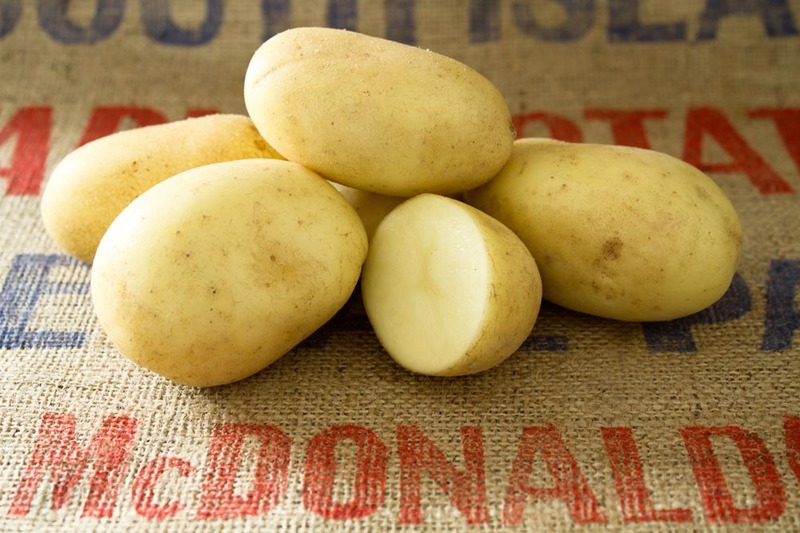 Working in both local and overseas markets we produce quality seed potatoes for the French Fry, Fresh Market and Crisping sectors. We currently produce 72 commercial varieties to meet our clients varying requirements. 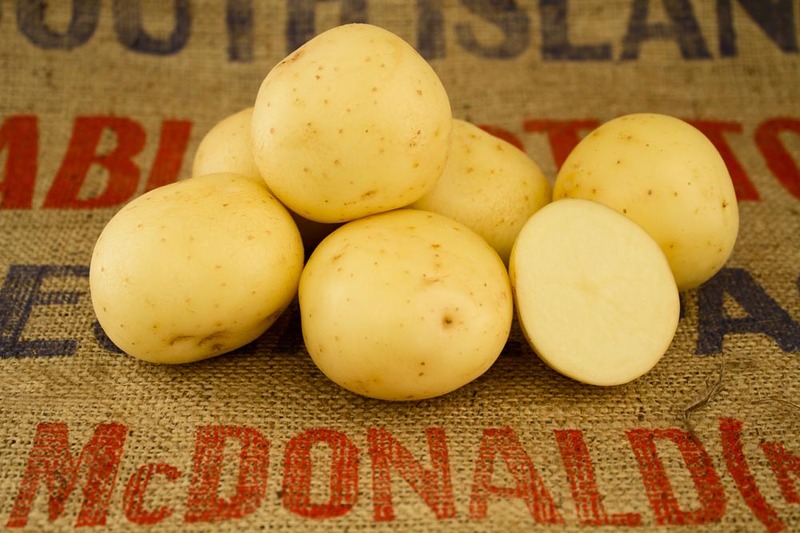 Supplied below is our catalogue of potato varieties - choose a potato type along the top and then click a variety to read more. Clicking on an image will provide a high resolution image. High yielding French Fry cultivar with excellent processing potential out of long term storage. YIELD High yielding. 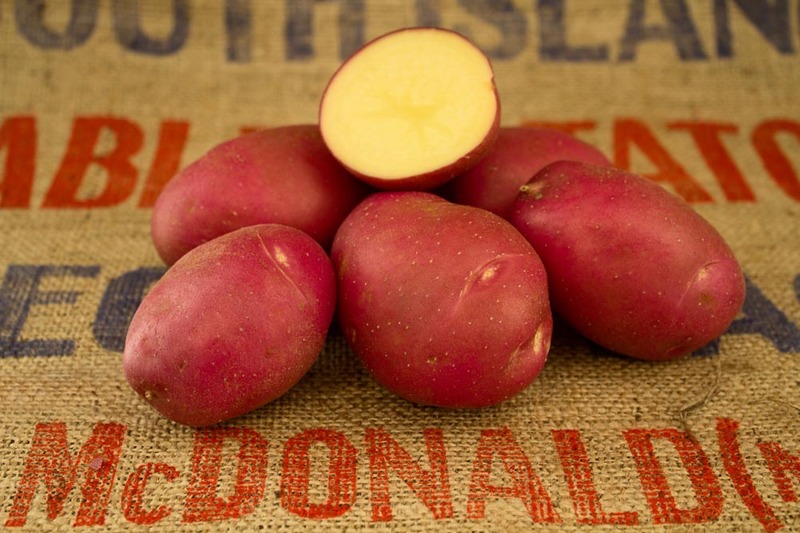 It has a low tuber set, with medium to large tubers, consistently out performs Russet Burbank and Russel Ranger in yield. 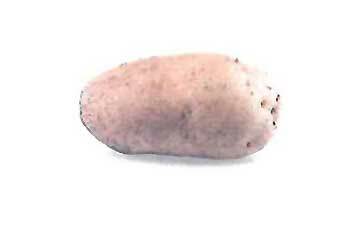 TUBERS Light russet skin, producing oblong tubers with medium thickness skin. The eyes are shallow in depth and intermediate in number and are predominately apical. EATING QUALITY Produces significantly lighter coloured fries than eight Russet Ranger or Russet Burbank. OTHER DISEASES Significantly more resistant to VERTICILLIUM WILT than Russet Burbank, it has similar susceptibility to foliar and tuber early blight, foliar light blight, dry and soft rot. NOTES Alpine is notable for long dormancy similar to Russet Burbank. Excellent tasting salad potato with attractive tuber shape and suitability for pre-packing into small cartoon and punnets for salad fresh market. 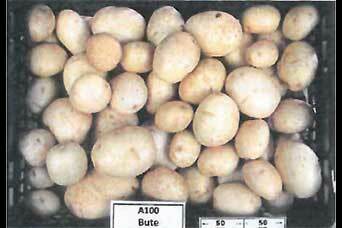 TUBERS Medium sized, long oval, uniform in shape, yellow skin, dark yellow flesh. Shallow eyes. EATING QUALITY Excellent taste, firm in cooking, no after cooking blackening. Dry matter low. With warm red skin dotting with cream coloured patches, the eye catching variety is very sweet tasting with a buttery chestnut flavour. Short-oval shape eyes, medium–deep. Skin–red parti–coloured, medium yellow flesh colour. Sweet tasting with a buttery chestnut flavour and has a slightly waxy texture. The contrasting skin colours stay bright if blanched first before roasting whole in their skins. Bute has proven strengths in the white pre-pack market. 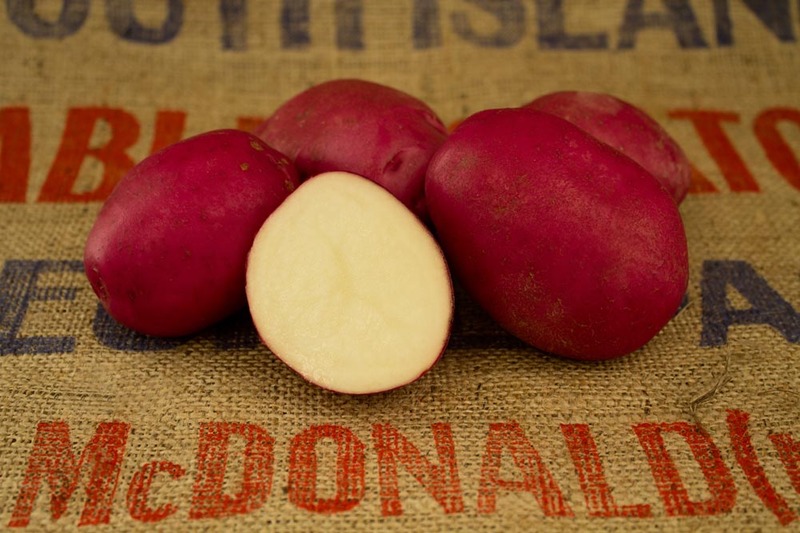 It produces high yields of bold, uniform, bright tubers which are an ideal shape for prepacks. Bute is a reliable variety with good all round disease resistance. Several season of commercial production have proven Bute's ability to keep its bloom and cooking quality after long term storage. Excellent for pre-pack and French Fry markets. Long dormancy gives good long term storability with stable fry colours. Smooth white skin and cream flesh. Oval to long shaped tubers. EATING QUALITY Has excellent taste, fries extremely well and boils moderately well. Medium dry matter (21%DM). OTHER DISEASES Moderately susceptible to common scab and good resistance to powdery scab. Moderately susceptible to both foliage and tuber light. NOTES Excellent resistance to external and internal damage. Early very high yielding salad variety with attractive tubers and smooth skin. Most suitable for pre-packing. EATING QUALITY Excellent taste with low to medium dry matter (18%). 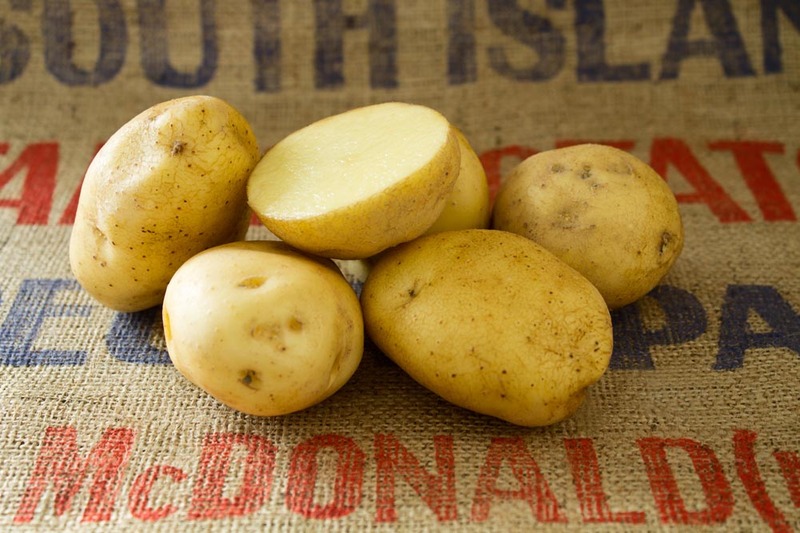 OTHER DISEASES High resistance to tuber blight and medium – high resistance to leaf blight. Medium – high resistance to common and powdery scab. NOTES Due to its rapid tuber development it is also suitable for organic production. 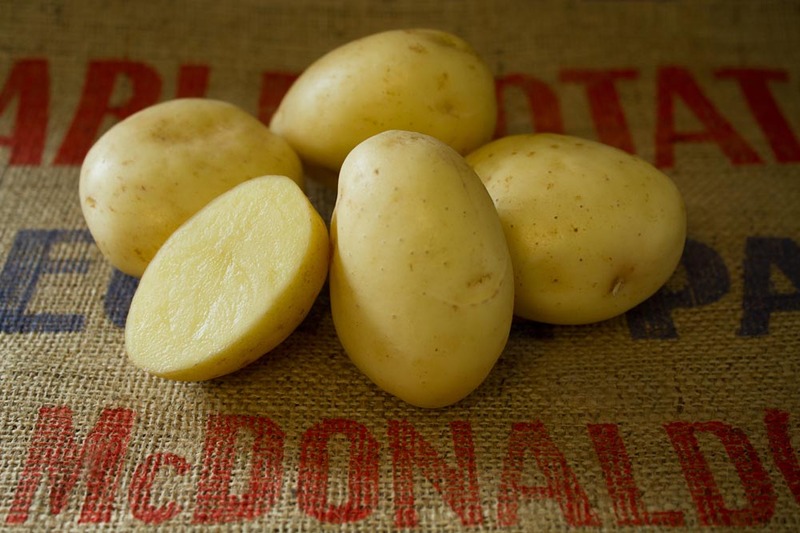 Attractive dark red skinned, yellow fleshed table potato, with great taste, very suitable for the washed market. Most suitable for washed – fresh market. VIRUS DISEAESES Susceptible to PVY, resistant to Yntn. OTHER DISEASES Resistant to tube blight, common and powdery scab. Slightly susceptible to foliage blight. 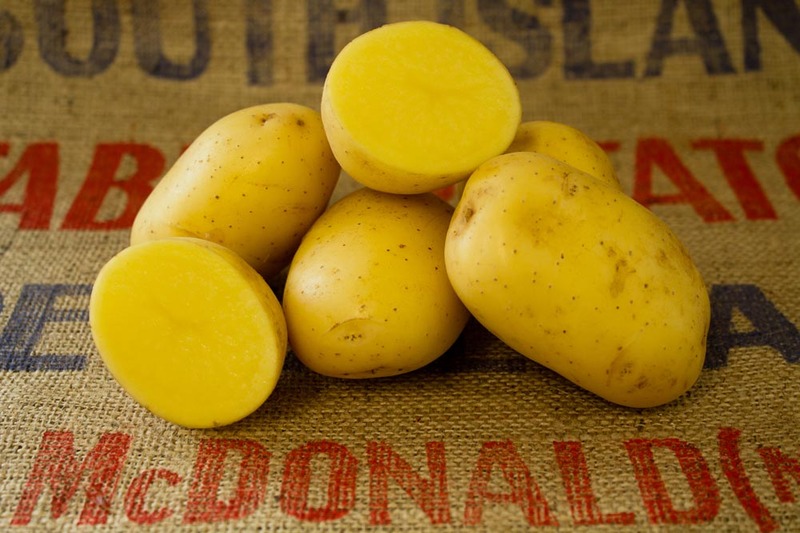 Early maturing variety that produces tubers with an exceptional washed appearance and tubers with attractive smooth bright yellow skins and yellow flesh. TUBERS Round oval rubbers with an attractive smooth bright yellow skin and yellow flesh. Uniform in size, Lenticels are not pronounced. 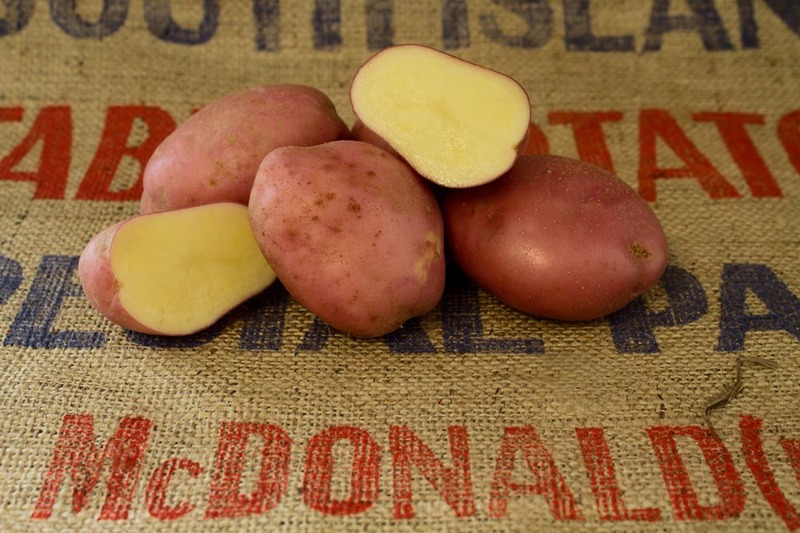 EATING QUALITY Suitable for a fresh washed packing as this is a firm textured table potato. Rather low specific gravity and no discolouration after cooking. OTHER DISEASES Moderately susceptible to common scab and powdery scab, moderately susceptible to late blight. A clean, smooth white skinned variety with shallow eyes makes Casablanca a packer’s delight. Its cooking ability makes it a chef’s dream with the ability to chip, bake or boil really nice . Excellent tasting salad potato with uniform tuber shape and size. Beautiful bright skin and suitability for pre-packing. EATING QUALITY Excellent taste, firm cooking. Suitable for pre-packing and salad fresh market. OTHER DISEASES Slightly susceptible to common and powdery scab. High resistance to tuber blight and moderate resistance to foliage blight. PCN Susceptible to potato cyst nematodes RO1, 4 and Pa2, Pa3. Premium quality French Fry potato with excellent taste. Very good processing quality after long term storage pre-packing. EATING QUALITY Excellent taste, and texture. Very suitable for the fish and chip shop market. 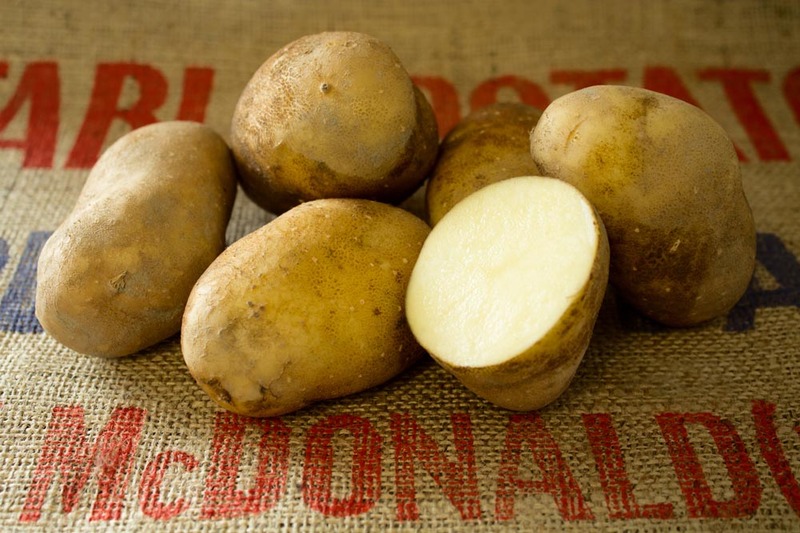 OTHER DISEASES Slightly susceptible to tuber blight Slightly susceptible to common Scab, susceptible to powdery scab. Susceptible to PCN RO1, 2/3. NOTES High tuber producing variety 15-17 tubes per plant. Very tasty salad variety producing attractive pear shaped long tubers. Very suitable for pre-packing into small cartoons and punnets. 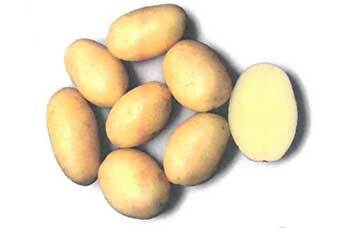 TUBERS Long oval shape, very regular, shallow eyes, yellow skin,Yellow flesh. EATING QUALITY Has a fresh flavour which tastes great eight hot or cold. Ideal for pre-packing and salad fresh market. Susceptible to late blight on foliage. Susceptible to powdery scab and common scab. High yielding main season crisping variety with excellent long term sugar stability with low defects. TUBERS Round tubers with pink eyes, light yellow flesh. EATING QUALITY Main season crisp line. 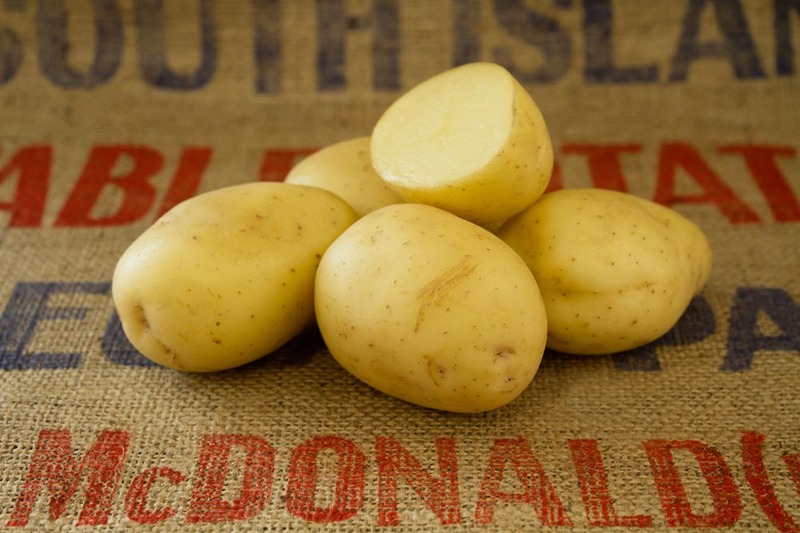 Also as a general purpose potato for roasting, chipping, mashing and wonderfully fluffy baked potatoes. OTHER DISEASES Very good resistance to blight, common scab, powdery scab and dry rot. Good solid texture when boiled but not suitable for frying or storing. EATING QUALITY Very good boiling potato but not suitable for frying or storing. 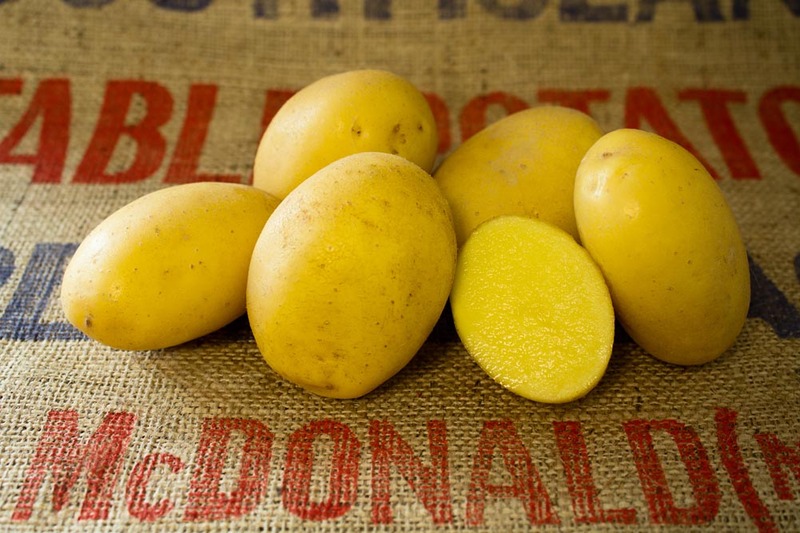 Attractive and tasty very early yellow skinned and yellow fleshed table potato. Very bright skin. EATING QUALITY Colombo can be distinguished from other varieties due to its exceptional taste and interesting texture, which provide a wide range of uses. Resistant to potato cyst nematode RO1. NOTES The aim is to promote Colombo to the younger generation as part of their daily diet and consumer preferences. With a unique taste and pleasing yellow colour, the variety is already in demand among European retailers. 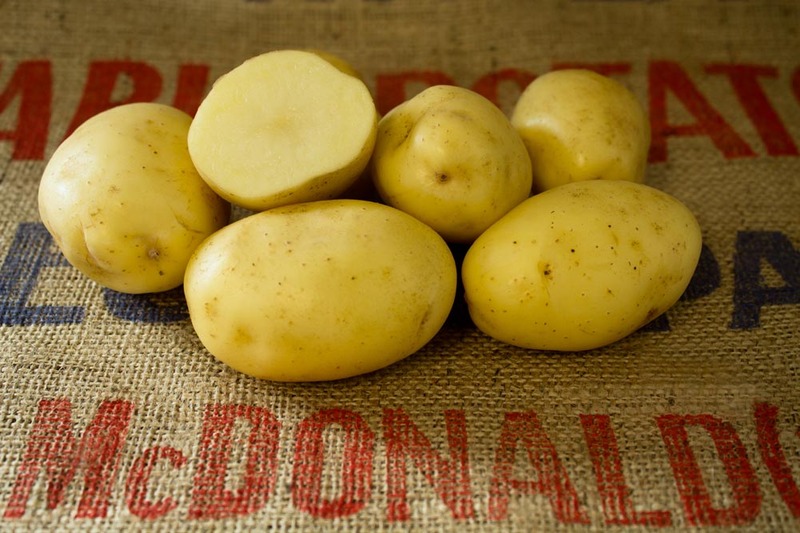 French fry potato producing large tubers, most suitable for long term storage. EATING QUALITY Very good taste. 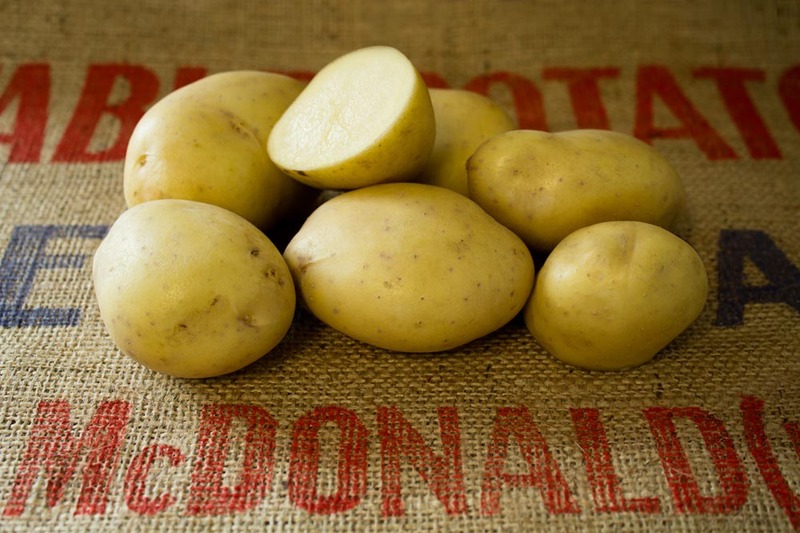 Very suitable for processing into French fries of slightly mealy texture – appealing to retail fresh market. Low resistance to powdery scab. Fresh market washing Red. Attractive bright red. EATING QUALITY Medium late season crisping line. 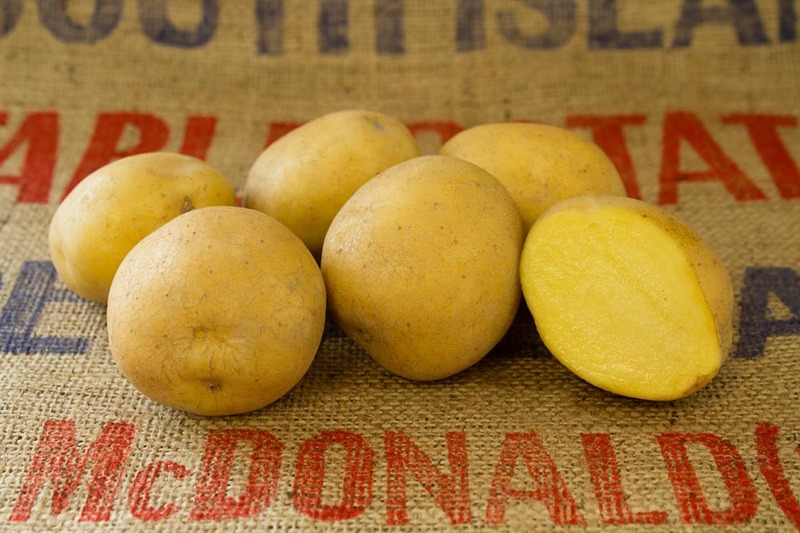 Red smooth skinned yellow fleshed table potato suitable for pre-pack washed and brushed. EATING QUALITY An excellent general purpose variety. Good fry quality and also hold together well on boiling. VIRUS DISEAESES Good resistance to Y. Moderate resistance to virus X. 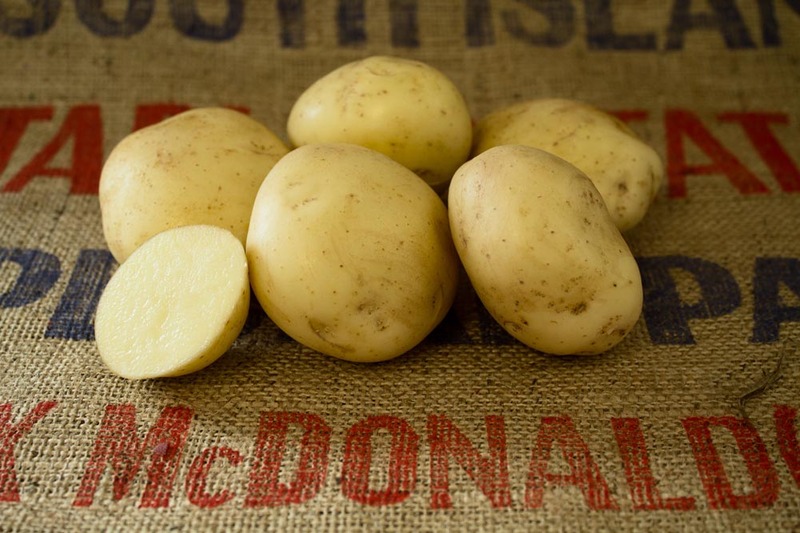 Very versatile early variety giving very good yields of very bright smooth tubers with very white skin and flesh. It is perfectly suited to washing for fresh retail markets and also makes excellent French fries. Oval to long shape. Shallow eyes. EATING QUALITY Excellent fresh market washing potato. Its excellent colour, flavour and texture makes excellent French fries. Moderate resistance to common scab. Susceptible to PCN, RO1 and Pallida Pa 2/3, 1. Medium late variety for both French fry processing and for the fresh table market. Excellent taste. Very suitable for washing market. TUBERS Oval to long oval tubers with a rather uniform shape and good size. Skin and flesh colour is yellow, shallow eyes. EATING QUALITY Extremely suitable for French fry processing. Great flavour. Also fresh market washing potato. Moderate resistance to common scab and powdery scab. Attractive tubers to be a good brushed pre-pack during the November-January period. Excellent variety for export. TUBERS Generally round - oval in shape. EATING QUALITY Holds together well on boiling. Proven to be an excellent export variety. Very suitable for brushed pre-pack market. Good resistance to powdery scab. Excellent suitability for the production of quality potato crisps. Round to oval shape, shallow eyes. EATING QUALITY Endeavour achieves desired dry matter levels early in the season, making the variety suitable for crisp productions from greentop through to long term storage. Slightly susceptible to common scab. 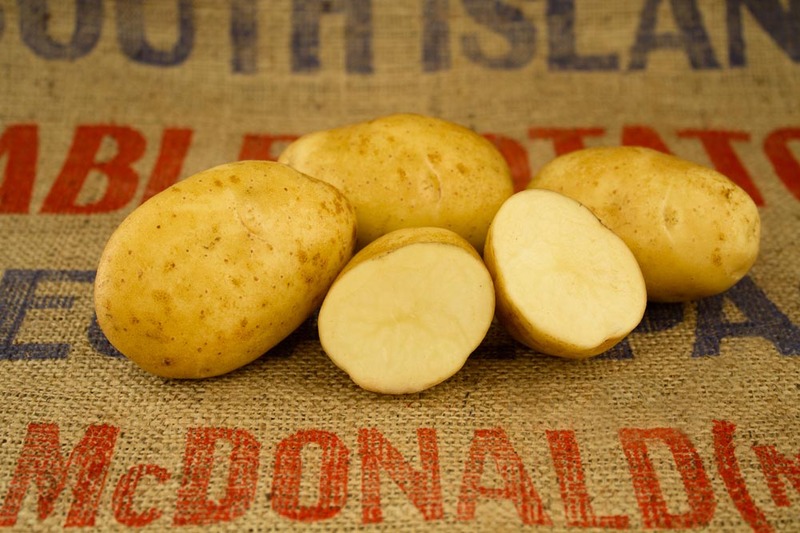 Very high yielding crisp variety with suitability for the production of dehydrated potato products. Attractive smooth red skinned. Great flavour. Very suitable for washed pre-packs. 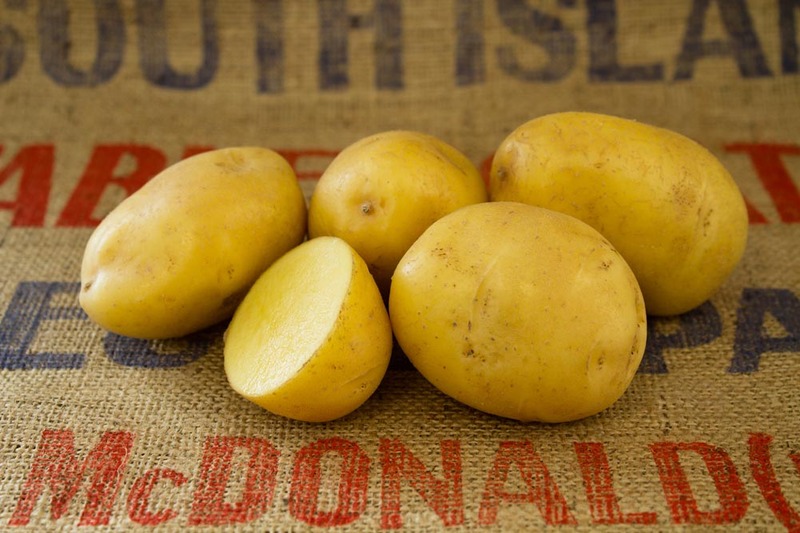 Early high yielding attractive smooth yellow skinned yellow fleshed potato with excellent culinary qualities. A distinctive purple/blue skinned variety with excellent flavour most suitable for home garden market. EATING QUALITY Excellent flavour with medium low dry matter content. High yielding medium early crisping variety. EATING QUALITY Medium early season crisp line. High yielding main season crisping line with very good storage quality. Very large, round to oval, uniform in shape. EATING QUALITY Medium season crisp line. OTHER DISEASES Rather susceptible to leaf blight. Good resistance to tuber blight . Good resistance to common scab, Resistant to powdery scab. Versatile early maincrop potato suitable for boiling. Suitable for crisping early in season. EATING QUALITY Early season boiling potate. Proven French fry variety. Very good dry matter content . Oval - long oval tubers, very regular shape. EATING QUALITY Good resistance to late blight in the foliage, and in the tubers. Moderately good resistance to common scab. Medium early French fry variety. EATING QUALITY Medium early French fry variety. OTHER DISEASES Resistant to common scab. Slightly susceptible to powdery scab. Slightly susceptible to foliage blight. Resistant to tuber blight. Resistant to PCN RO1, 4/5 Slightly susceptible to RO2/3. Very good quality waxy textured salad potato. EATING QUALITY Waxy textured early maturing salad potato. Very suitable for punnet small carton trades. NOTES Very good quality as an early eating potato, but deteriorates if left till matured. EATING QUALITY Crisping line. Igh dry matter with excellent fry colour. Early maincrop high yielding, tasty fresh market line most suitable for brushed pre-packs. Very good resistance to silver scurf. Very tasty potato – fairly firm texture. Very suitable for French fries, excellent processing after long term storage. EATING QUALITY Very suitable for processing into French Fries, processing quality is excellent even after long term storage. Resistant to PCN RO1, 2/3. Medium early with excellent characteristics for early French fry processing, but also very suitable for processing after storage. Very good resistant to tuber blight. 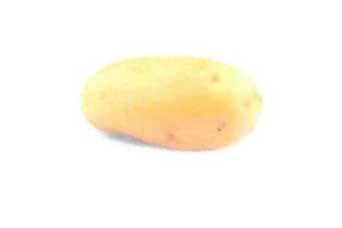 Yellow waxy salad type potato with firm texture that have a wonderful flavour, a good choice for boiling, steaming or roasting. Developed especially for salads and gourmet markets. 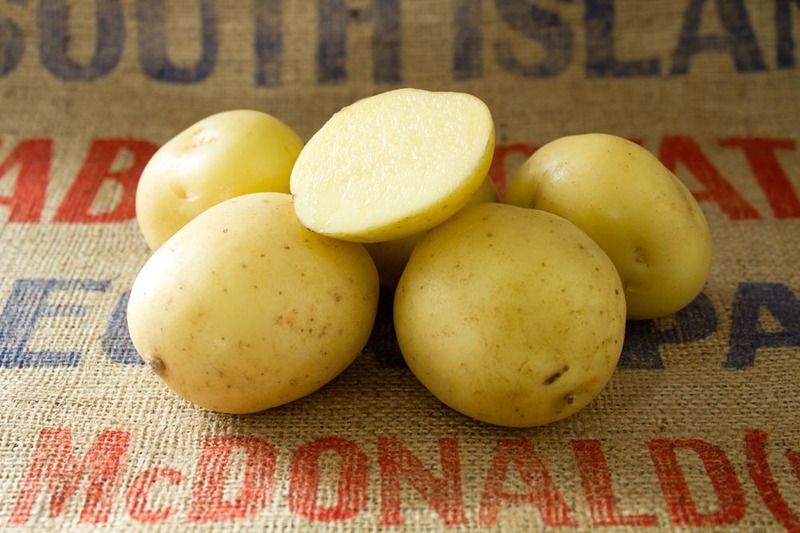 EATING QUALITY Yellow waxy type potato that has a wonderful flavour, a good choice for boiling, steaming or roasting, of firm texture. Early seasons, very good boiling quality with waxy texture and mild flavour. EATING QUALITY Very good boiling quality with waxy texture and mild flavour. A second early with a high potential of round/oval smooth white skinned tubers of particularly attractive appearance. Excellent cooking quality and most suitable for washed pre-packs. 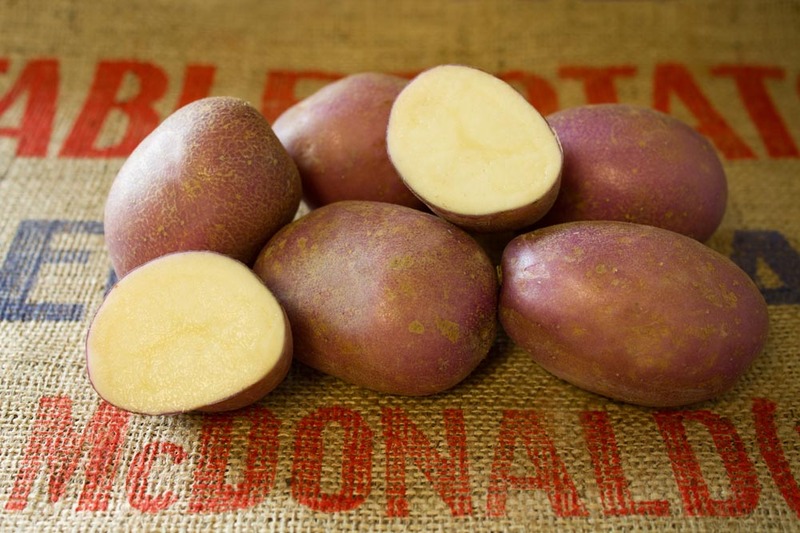 EATING QUALITY On steaming tubers are firm, most, cream fleshed and free from discolouration and of good flavour. Dry matter content is low. Early high yielding prepack line with excellent taste. Smooth bright yellow skin and very deep yellow flesh. Yellow skin with shallow eyes. High yielding mid-early variety that has very nice uniform oval shaped tubers. The flesh is dark yellow. Extremely tasty and beautiful skin finish makes it ideal as a fresh market pre-pack variety. Second early high yielding table potato with excellent taste. Attractive washing line due to its smooth parti-coloured red/white skin . EATING QUALITY Excellent tasting potato with medium dry matter. Performs very well as an early season baker. 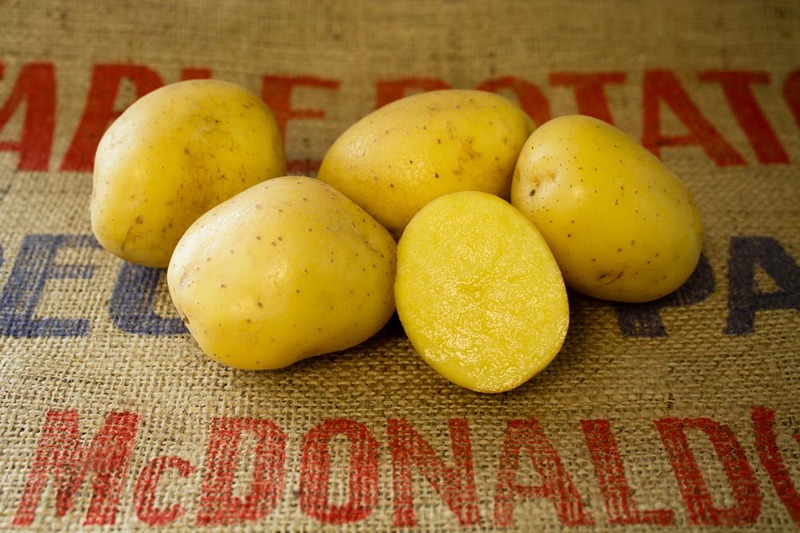 Parti-coloured red and yellow skinned firm moderately waxy, rich flavoured potato when boiled. Keeps well. Maincrop fresh market, red pre-pack potato. Generally acknowledged as having very good eating quality. Oval to slightly flat in shape, always smoother than Desiree. Proven to be THE earlier of first early varieties. 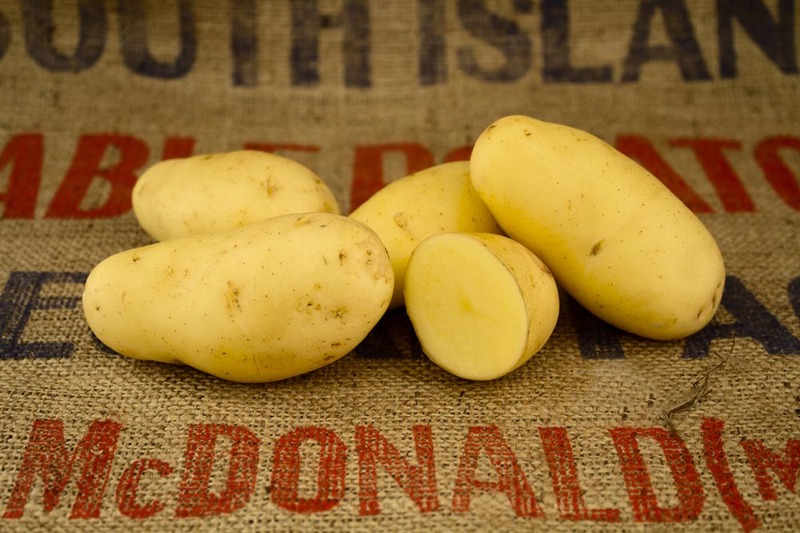 Its firm waxy texture and good flavour when dug green make it ideal for the first early produce market. EATING QUALITY Its firm waxy texture and good flavour combine to give the variety excellent cooking qualities early in the season. 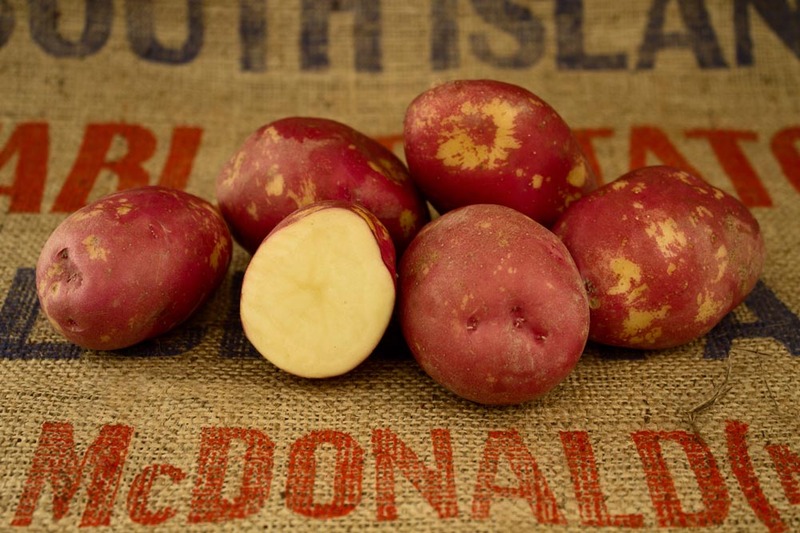 Late maturing deep red skin variety with dark yellow flesh that has a wonderful flavour. Ideal for washed pre-packs. TUBERS Attractive appearance with an intense red skin. Oval to long oval shape. Shallow eyes. Yellow to light yellow flesh. EATING QUALITY Outstanding flavour. Medium dry matter content. 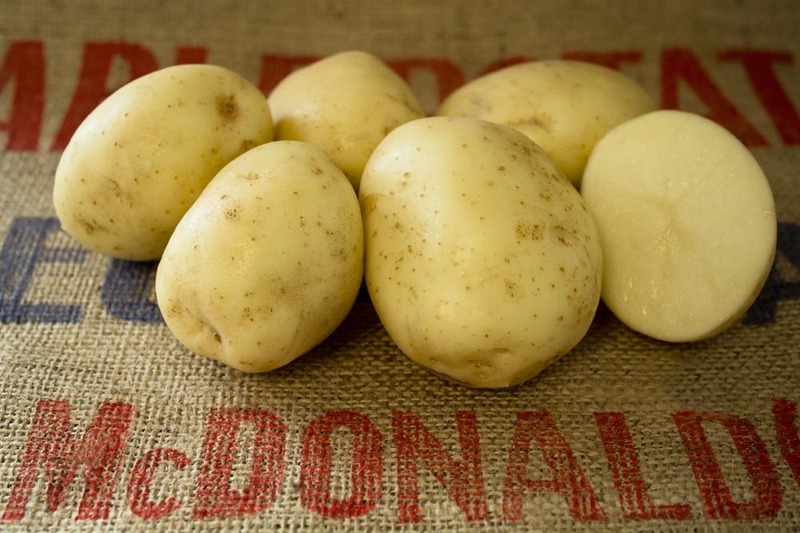 Late main crop high quality boiling potato with firm texture and pleasant flavour. Stores extremely well. 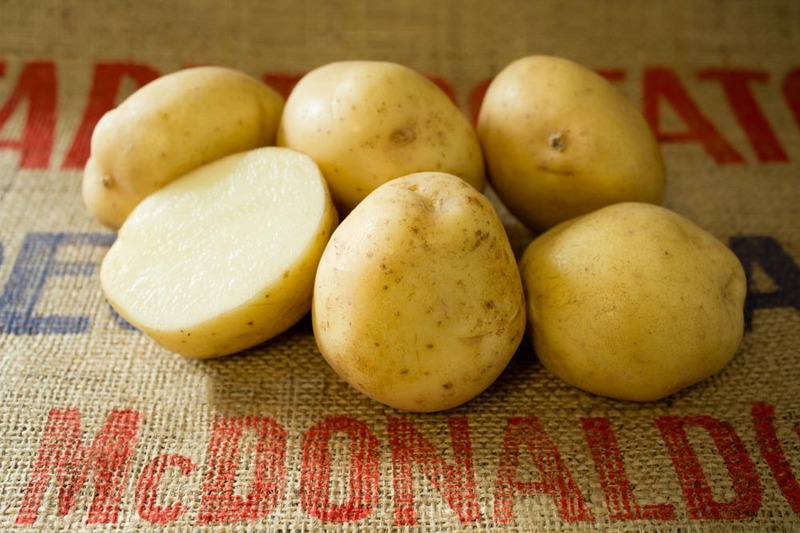 High quality boiling potato with firm texture and pleasant flavour. Late maturing French fry and baking line. Excellent processing ability after long term storage. Versatile potato lending itself to boiling, mashing, roasting, baking and frying with equal ease. 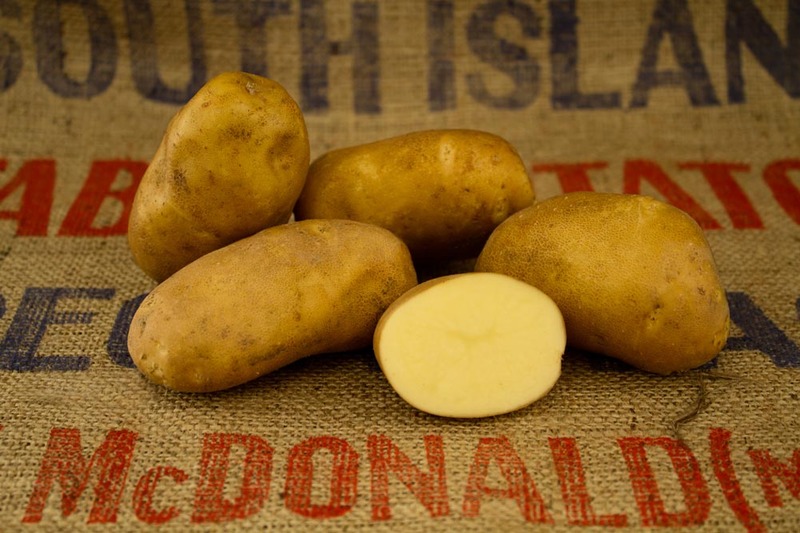 Possesses excellent classic potato flavour with firm texture and pleasant flavour. Smooth skin with shallow eyes. High yielding. Bright white smooth skin. Particularly suitable for washed pre-packs. Very good taste. Extremely early first early of attractive appearance with smooth white skin. Ideal for early wash white pre-packs. Oval shaped tubers, Shallow eyes. EATING QUALITY Excellent cooking quality and does not discolour for disintegrate on steaming. Waxy with low dry matter. High yielding main season crisping line. Suitable for long term storage. EATING QUALITY Main season crisp line. Moderately resistant to foliage blight. Resistant to tuber blight. 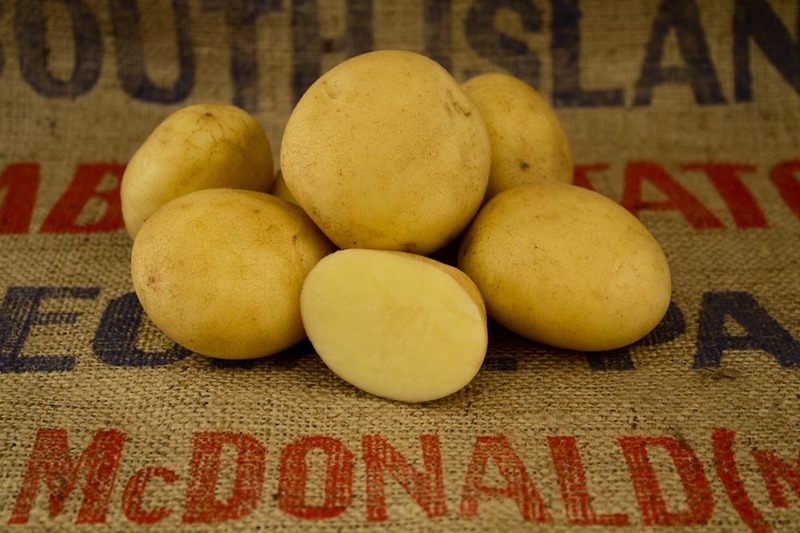 Superb second early gourmet salad potato which produces an excellent crop of small long potatoes of excellent eating quality for the small carton/punnet trade. EATING QUALITY Very good tasting waxy textured salad potato. Good resistant to tuber blight. 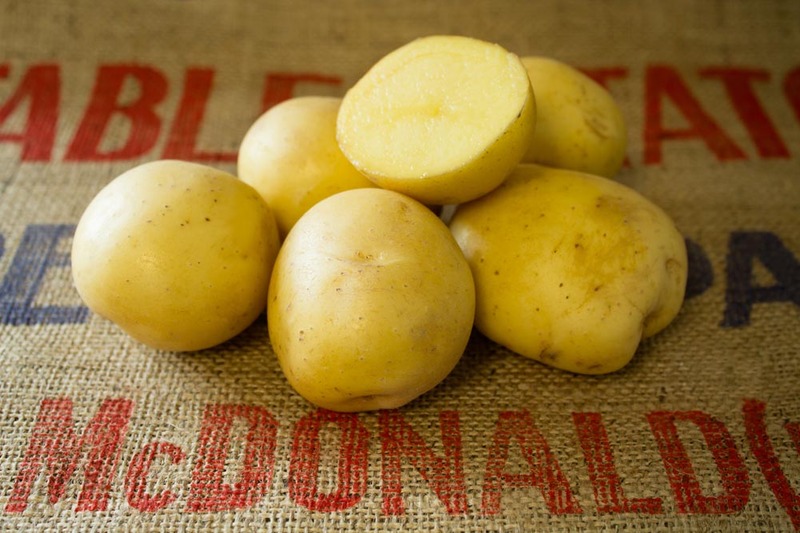 Deep red smooth skinned, yellow fleshed table potato, particularly suitable for washed pre-packs. EATING QUALITY An excellent general purpose variety with great eye appeal due to its deep red skin colour. Good fry quality and also holds well together on frying. Medium high yielding crisping line with excellent long term storage quality. Medium – high resistance scab. 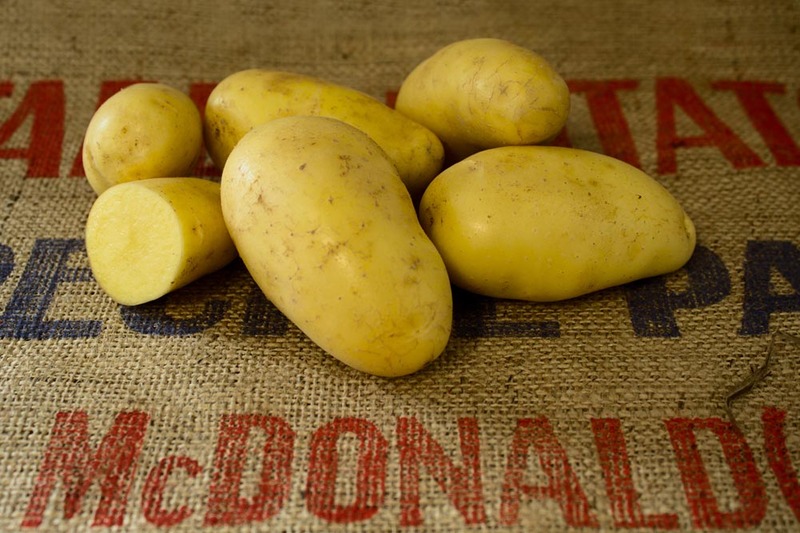 Medium early/late maturing variety with very good characteristics for French fries. Smooth bright yellow skin appearance makes it very suitable for washed pre-pack market. EATING QUALITY Great flavour. Attractive appearance makes it most suitable as a fresh market washing potato. Very suitable for processing into French fries. Moderately susceptible to common scab. 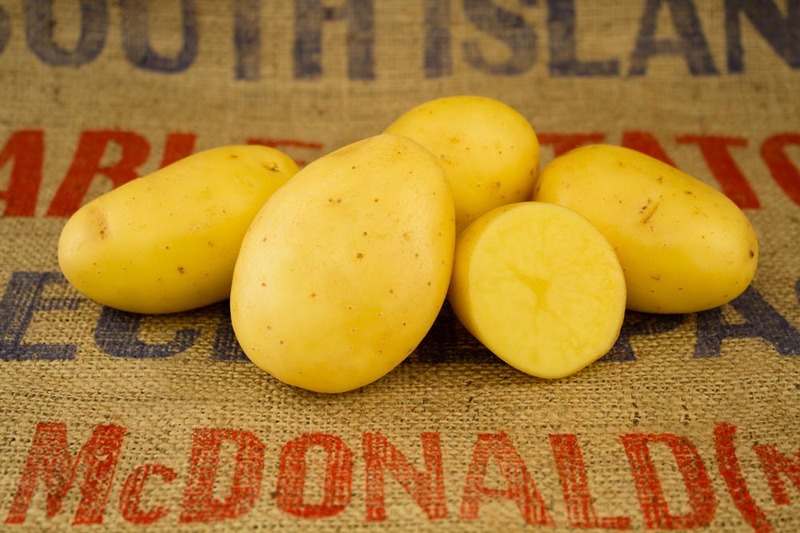 Medium early season attractive and tasty yellow skinned and light yellow fleshed table potato particularly suitable for washed pre-pack market. Moderately susceptible to powdery scab. Susceptible to foliage blight. Resistant to tuber blight. Copyright © 2019 Alex McDonald Ltd. All Rights Reserved.